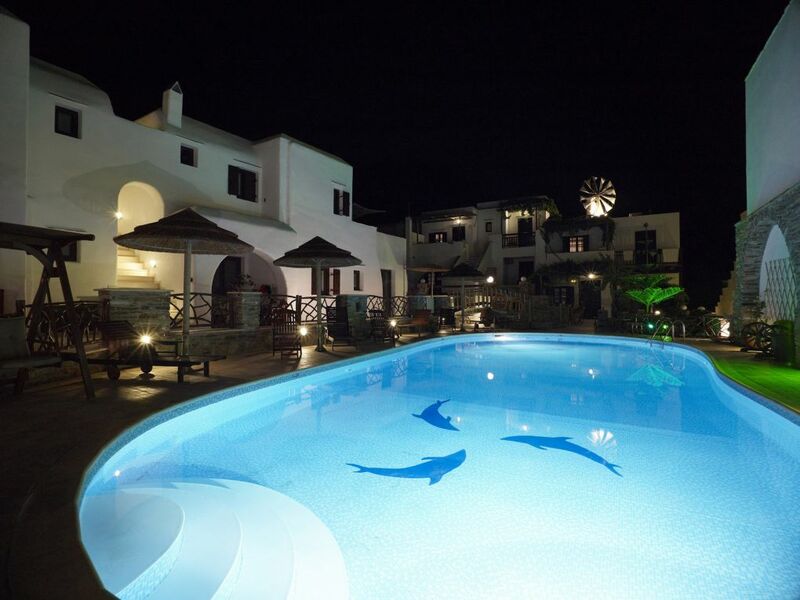 Just 50 m from Agia Anna Beach, Anemomilos offers air-conditioned rooms with private balconies overlooking the hotel’s swimming pool. Guests enjoy free Wi-Fi throughout the premises. Anemomilos’ spacious and tastefully furnished rooms include a kitchenette with fridge and microwave oven, and en suite bathroom with hairdryer. Each comes with a flat-screen TV with satellite channels. The hotel’s reception can provide free pick-up and drop-off service from the port or the airport, as well as car and motorbike rental service. In the centre of Anemomilos Hotel, there is an impressive, large fresh water pool, and next to it, a smaller one for children. Apart from the cool they offer, they give endless hours of joy and amusement to children and adults, in or outside the water. Around the pools, there are umbrellas and deck chairs for the guests.